The National Association of Scale Aeromodelers (NASA) Scale Classic generally winds down the Scale contest season in the US. It moves across the country to different locations, but with a marked difference from other competitions. This one features Control Line (CL) Scale and RC Scale competitions held concurrently at the same flying site. The year 2018 marked its fifth anniversary. 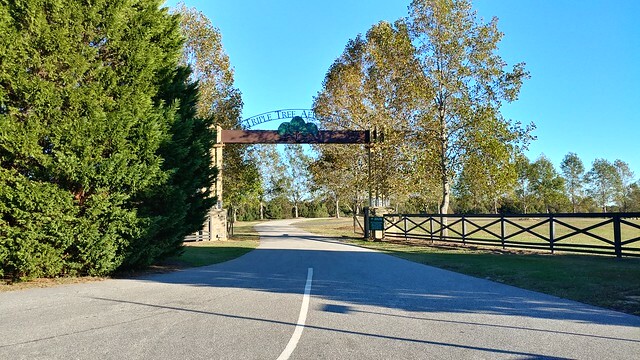 The event was held October 19-21 at Triple Tree Aerodrome, in Woodruff, South Carolina—home of the annual Joe Nall Week. Rick Tressler won the RC Fun Scale Novice class with this Extra 260 (shown in the foreground). All AMA CL and RC Scale classes were held. Anyone could come and fly in RC or CL Fun Scale, Open, or Novice, as well as all of the CL Scale classes. Plus, there was an additional World War I special event to commemorate the end of that war. To compete in this event, pilots had to fly seven maneuvers with an aircraft featuring a WW I paint scheme—pretty simple. The special event is changed each year in a regular rotation. The 2019 special event will be 1930s air racers. After that, it will go to World War II trainers and progress up to modern aircraft in the coming years. .This is the 89-inch wingspan Top RC Model P-51D Mustang that was raffled off on Saturday night. One lucky winner who bought his ticket online won! Triple Tree Aerodrome met all of the requirements for both events (a must), with smooth grass runways for each contest. There was also a concrete takeoff area for the smaller CL models. Camping for tents and motorhomes was available with many sites near the main runway. The aviation museum was open, and there were lakes and other areas for seaplane flying. Mike Barbee and Jeffrey Pike were the contest directors for the RC side of things, and Allen Goff was the CL contest director this year. The Triple Tree group was very accommodating, offering tours of the site and museum, as well as helping out in any way needed. Michael Fearing’s 160-inch, 71-pound C-130 won Best Electric Engine Performance. It was great to see several Boy Scout troops camping at the other end of the site. They camp there twice a year and do community service projects, fish in the lakes, and, in general, have a great time! Triple Tree Aerodrome also gives them the opportunity to be exposed to both full-scale and model aviation. The competition was close this year. In RC Expert Sport Scale, Mike Barbee won with his T-34B with a final score of 195.450, and Jack Buckley was close behind with his 1/3-scale Tiger Moth at 194.475. Mike Fearing rounded out the top three with his Grumman Cougar, scoring 192.075. Ron Pound’s 1/3-scale Balsa USA Fokker D.VII had a hand-painted lozenge paint scheme. RC Open Scale seems to be picking up participants. It’s been around for a few years now. Al Kretz, flying his Balsa USA Fokker D.VII, took first place with a score of 192.225. Second place went to Ted Roman with his Balsa USA Super Cub. Jeffrey Pike flew his 1/4-scale J-3 Cub to a third-place finish. The largest class this year was RC Fun Scale Expert with a diverse group of models entered. Military, civil, single-engine, four-engine, aerobatic—you name it and it was in this class. This year, first place went to AMA District III Vice President (VP) Mark Radcliff flying a 100-inch Bill Hempel Decathlon ARF. His final score was 101.288. Second place went to Brady Ornat with his well-worn Top Flite Spitfire, which finished behind Mark by less than 1/2 point. Third this year was Michael Fearing with his huge C-130, again by less than 1/2 point. Jeffrey Pike’s Top Flite Stinson SR-10 in the Jimmy Doolittle Shell Oil Company color scheme. The model competed in Team Scale and finished second with Steve Eagle flying it. Two classes had fewer modelers this year. One was RC Team Scale. The team of Mike Barbee and Frank Noll took first place in the class they have dominated in previous years. In Designer Scale, Jack Buckley was the only entry and took first place flying his own-design Mini Max. RC Fun Scale Novice was won by Rick Tressler flying an Extra 260, followed by Michael Dionne flying his Taylorcraft, and Ed Mason with his Sport Cub. Ed flew in both RC and CL Scale events. Both contest directors worked with Ed to make sure he had time to get all of his flights in. Art Shelton’s 1/4-scale Sopwith Camel won the NASA WW I Special Event and Best Gas. As his prize, Art received a 1/3-scale German pilot and shirt from Balsa USA. CL Scale had fewer entries this year, but they were all great models. Allen Goff won in Profile with his B-25 over Richard Schneider with an AT-6. Most of the CL models flew from the concrete pad. The winning Sport Scale entry was Chuck Snyder’s impressive Henschel Hs 129 Tank Buster. The model featured retracts, flaps, and a bomb drop. Second place went to Ed Mason with his B-17, and third went to Richard with his Tiger Moth. Richard Schneider built a 60-inch Tiger Moth from a Pilot RC kit and converted it to electric CL. The pilot and model finished third in CL Sport Scale. CL Scale also has a Fun Scale class and Ed, with his Lockheed Constellation in a military color scheme, again took first. Allen flew an Extra 300 to a second-place finish, and Richard rounded out the top three with his Hawker Hurricane. NASA holds an annual raffle to raise money to support Scale competition across the US. Mike Barbee, NASA president, also donated $1,000 to the Triple Tree Aerodrome this year. Richard prepares his 1/2A AT-6 for flight with a little help. He finished second in 1/2A Scale. The raffle airplane was a Top RC Model P-51D Mustang in the Old Crow color scheme. This RTF model with all of its gear already installed was worth more than $4,000. This year’s lucky winner was Larry Hebert from Kirbyville, Texas. Other prize winners included Mike Purcell, who won a Lifetime RCScaleBuilder.com supporter subscription worth $250. Also, Desert Aircraft had a DA-50 in the raffle won by Pat Kenworthy of Huntington, Indiana, and to round out the winners, a $250 gift certificate from John Brodak of Brodak Manufacturing was won by Randy Peebles. Mike Barbee and Frank Noll with their winning Beechcraft King Air. The 155-inch electric-powered aircraft featured Kontronik electric motors, with four 5,000 mAh six-cell LiPo battery packs for each motor. Plans are underway for the 2019 NASA Scale Classic. If all goes well, NASA is planning to hold the sixth annual combined RC and CL Scale Championships in DeLand, Florida, on October 17-20, with the DeLand Golden Hawks club hosting. DeLand is roughly an hour’s drive from Orlando and all of the attractions in central Florida. It’s a great flying site, and Mike Barbee stated that the club members are a fantastic group of people with whom to work. AMA District III VP Mark Radcliff’s Decathlon finished first in Fun Scale Expert. For more information regarding the open events where you qualify for the Sport Scale classes, and to find an event near you, check out the NASA website listed in “Sources.” The first open event of 2019 will be the Red Stick Classic, set for March 29-31 at Kissner Field, near Baton Rouge, Louisiana.